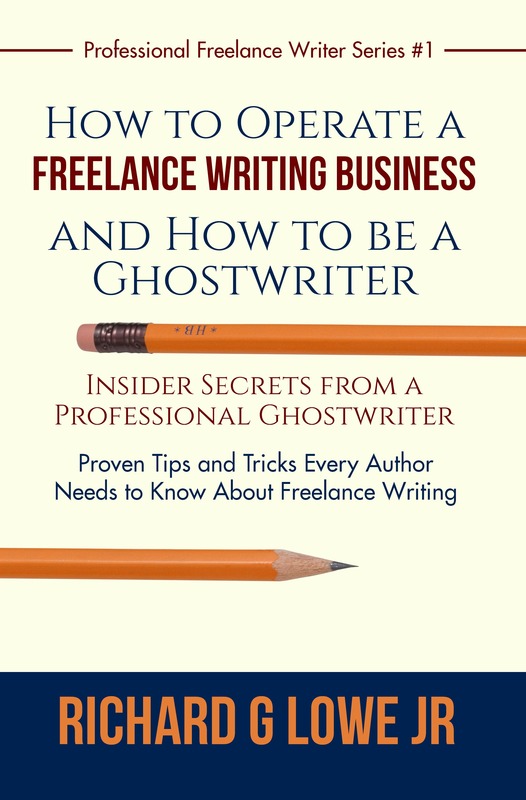 Discover How to be a Freelance Writer and Ghostwriter! Finally, the insider secrets from a Professional Ghostwriter. Freelance Writer and Bestselling Author. 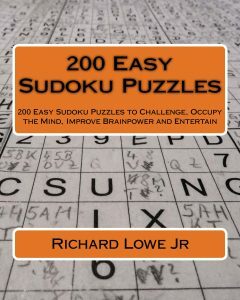 Mr. Richard Lowe can help save you months of grief and mistakes by showing you the exact methods he uses to produce high quality writing day-after-day, all granted by his decades of Professional Writing Experience. In this guide, Mr. Lowe delivers to you all of his tips, tricks, and techniques on how to become a professional ghostwriter and start a freelance writing business. When properly managed and priced, ghostwriting can be one of the most lucrative and rewarding freelance writing careers. This book goes through how to successfully run a Ghostwriting Project, from the initial contact with a prospective client, to delivering the completed work. Not only that, Richard walks you through the possible problems, enabling you to hit the ground running without the usual issues associated with starting a freelance business. Here is a summary of what you’ll discover in these pages. How to price a ghostwriting project. How to build a ghostwriting business from the ground up. How to run meetings with your client. Tips on doing interviews and research. Why communication is extremely important. How to write a Statement of Work to protect yourself and your client. How to handle the inevitable revisions. How to deliver your final project. There is a certain joy associated with helping another person tell their story. Ghostwriting requires a unique and challenging set of skills. Unlike other forms of writing, in ghostwriting you need to tell the story from the point-of-view of another person, in their voice and delivering their message. However, there is far more to being a ghostwriter, or any other kind of freelance writer, than just telling a story. You have to understand that you are running business, and treat each contract as a project. In other words, you need project managements skills. And as with any other kind of project, you'll be interviewing, running meetings, doing research, writing letters and contracts, handling changes and communicating with your client. Ghostwriting is unique, because are the writer but not the author of the work. Your name will not, under normal conditions, be on the cover. I fact, your work may not be acknowledged at all! That is, except in the form of a good paycheck at regular intervals in the project. If you are interested in discovering what it takes to start a freelance writing business and make more money ghostwriting, Freelance Writing Business has all the information you will need. So scroll up and buy now! So you think you want to be a freelance ghostwriter? Perhaps you have some writing experience, or you want to earn extra money. Maybe someone asked you to write a book that they want to publish in their own name, or possibly you heard of this thing called ghostwriting, and you want to give it a try. Ghostwriting is hard work. It is very creative and fulfilling. However, the energy required to peer into a person’s mind, read their scrapbooks, make sense of their scribbled notes, and turn all of that into a well-written manuscript is intense. Being a writer does not mean that you have the tools to be a good ghostwriter. Ghostwriting requires a whole different set of skills on top of writing. You’re not creating a book for you; you’re writing a book to satisfy the needs and requirements of another person, company, or group. It is a very different thing. Ghostwriting is a unique form of writing that, although difficult, can be very rewarding on both a financial and emotional level. I hope you get value from this book and enjoy the adventure of extracting a story from someone’s mind and changing it into a completed manuscript.